New WWF report foreshadows significant challenges in the absence of stronger conservation measures. Antananarivo, Madagascar - A groundbreaking new report finds the ocean assets of the Western Indian Ocean region are valued conservatively at US$333.8 billion but foreshadows significant challenges for the region’s ocean-based economies and food supplies in the absence of stronger conservation actions. Reviving the Western Indian Ocean Economy: Actions for a Sustainable Future is the result of an in-depth, joint assessment by The Boston Consulting Group (BCG), CORDIO East Africa and WWF. It combines a new economic analysis of the region’s ocean assets with a review of their contribution to human development. 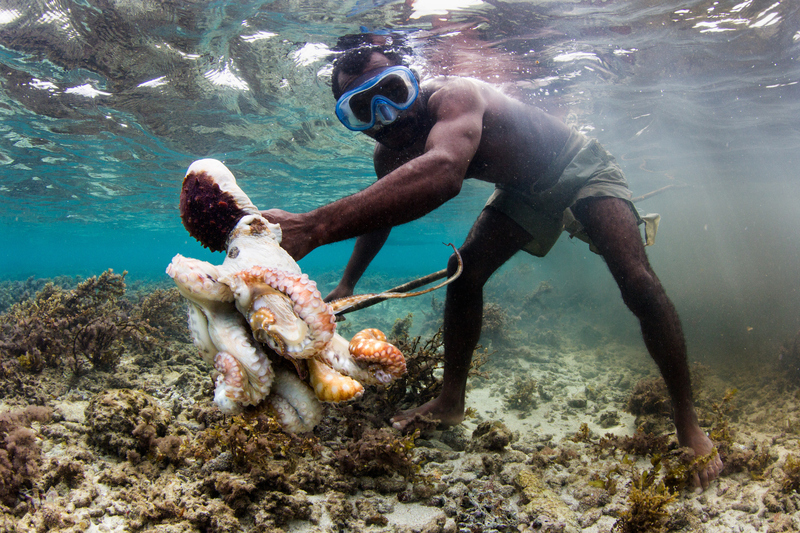 The report shows that the region’s most valuable assets are fisheries, mangroves, seagrass beds and coral reefs. Adjacent coastal and carbon-absorbing assets are also central to the wellbeing of communities and the health of the ocean economy. The analysis finds that the region is heavily dependent on high-value ocean natural assets that are already showing signs of decline. The report offers a set of priority actions required to secure a sustainable, inclusive ‘blue economy’ for the region, and thus to provide food and livelihoods for growing populations. The report shows that the annual economic output of the region (the equivalent of gross domestic product) is at least US$21 billion, making the ‘ocean economy’ the fourth largest economy in the region in its own right. 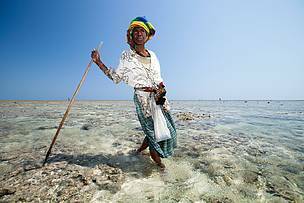 The most economically-valuable activities on an annual basis in the Western Indian Ocean are coastal and marine tourism, followed by carbon sequestration and fisheries. “Within the region, the Northern Mozambique Channel initiative provides a good example of the scale of ambition possible for an integrated and sustainable approach to ocean management when decision makers come together around a common vision,” said Mr Tanzer. The Western Indian Ocean region described in this report includes Comoros, France, Kenya, Madagascar, Mauritius, Mozambique, Seychelles, Somalia, South Africa and Tanzania – a mix of mainland continental and island states. The total population is around 220 million, over a quarter of whom live within 100km of the coast. The report also points to the likelihood that much of the actual fishing in the region is for local, domestic consumption via small-scale fishing which is not adequately monitored, or measured in economic terms, so the actual extent of fishing and its importance to local communities is likely to be far greater than economic analyses indicate. A traditional fisherwoman gleans for octopus on a vast reef flat during low tide. Octopus fishing is a source of food and livelihood for many communities across the Western Indian Ocean. A newly caught octopus on a reef flat. 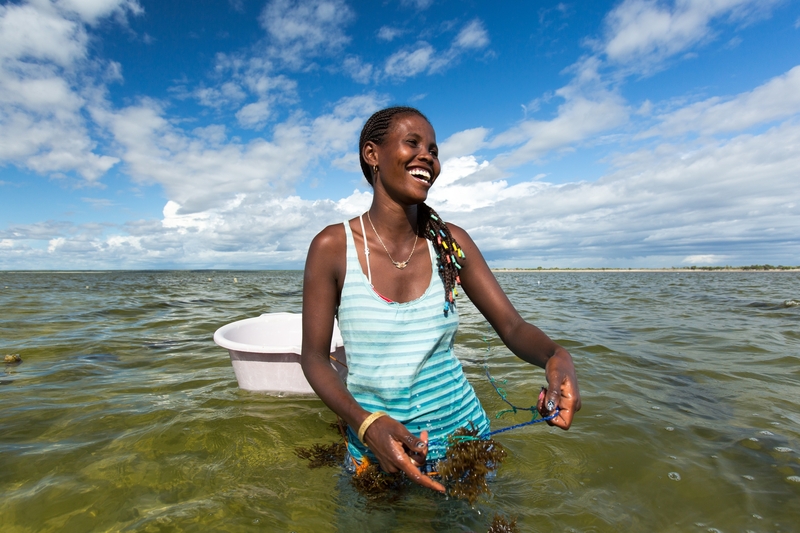 Women play a central role in mariculture.